Top Rated Geometry Tutors in Phoenix, AZ! Welcome to Phoenix’s top-rated private geometry in-home tutoring service! 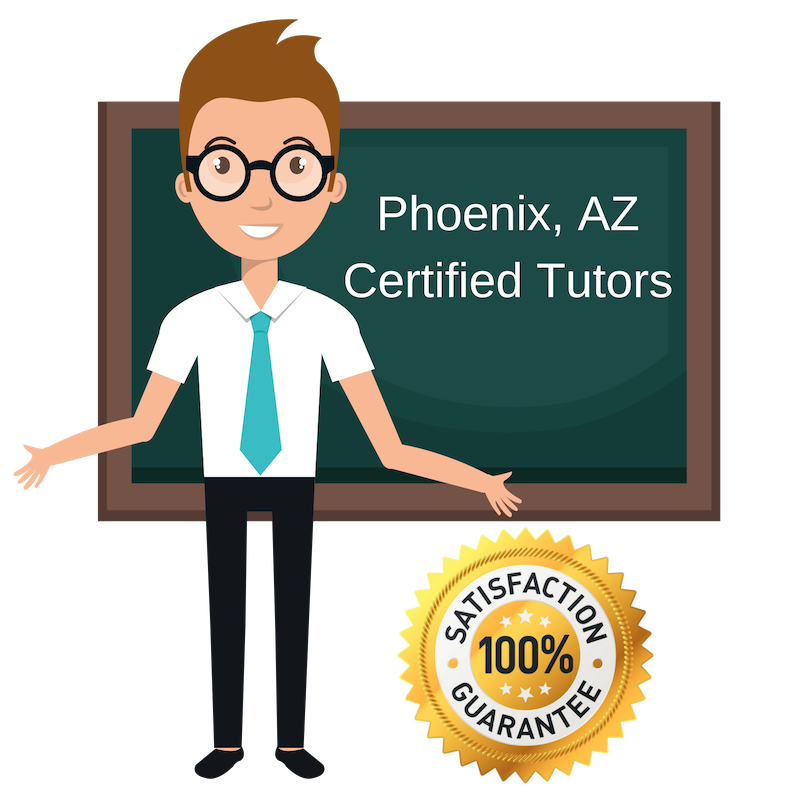 All of the following Phoenix geometry tutors are certified by Varsity Tutors, the leading tutoring agency in the country! All Phoenix geometry tutors have been background checked, been interviewed, had mock geometry tutoring sessions, and been trained by professionals. We guarantee you will love your local Phoenix geometry tutor or your money back! Get information regarding a top-rated geometry tutor today! I tutor geometry in Phoenix. My educational career has focused on science and math, giving me the needed knowledge and skillset to tutor others in geometry now. I also studies and took the MCAT while in school, which helped me create better learning and study habits that I hope to share with others. After college, I moved to Peru and taught English for over half a year. This experience helped mold me into a better teacher and prepare me for tutoring in Phoenix. I’m a friendly and welcoming tutor. I do my best to make each student comfortable while trying to help them better understand geometry. I’m a certified geometry tutor in Phoenix, Arizona. I received an Associate’s degree in Science, Biomedical Engineering from Paradise Valley Community College. I prioritize each student’s learning and try my best to create a fun and welcoming environment for all. I’m an advocate of perseverance, integrity and patience as traits we can all live by as we continue to learn. I tutor geometry in Phoenix, Arizona, where I live with my family. I received a degree in Mechanical Engineering from the University of Minnesota. My professional experience includes 25 years as an engineer and manufacture manager at 3M and 15 years owning my own land surveying company here in town. I retired in 2015, when I sold my business to a dedicated and seasoned employee. When I was younger I had a hard time deciding between becoming a teacher or an engineer. While I pursued engineering, I have always enjoyed teaching and working with students. Now that I am retired, I like to tutor and help students develop strengths and skills in areas that are challenging for them. My wife and I have two sons who are both married and we have three delightful grandchildren. Two of our granddaughters live in Phoenix and I get to help them with their homework often. I very much enjoy tailoring some of their lessons to their unique learning styles and I would enjoy doing this with other students as well. When I’m not tutoring, I like to hike, travel, read and volunteer. Hiking, reading, volunteer work and traveling. I tutor geometry in Phoenix. I very much enjoy teaching students and want to make the experience enjoyable and welcoming for each student. My goal is for each student I work with to gain a better understanding of geometry while having fun. I tutor geometry in Phoenix, Arizona. Math has always been a big part of my life and I am a big supporter of STEM (Science, Technology, Engineering, and Mathematics). I worked as an engineer for over forty years. My collegiate background includes a Bachelor of Science Degree in Electrical Engineering and a Master of Science in System Engineering from Johns Hopkins University. My family is very important to me. My wife and I have five adult children.